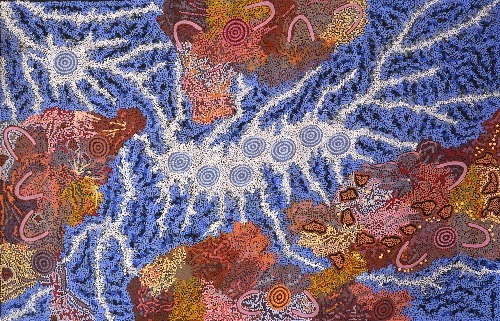 When buying art, especially Australian Aboriginal art, the incredible choice of artists can be overwhelming. 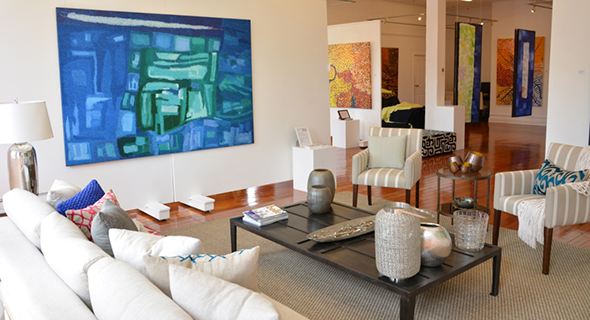 At Kate Owen Gallery you will be given helpful information and advice to assist you in making the perfect choice. We encourage you to take a painting or two home for a few days to see how it works in your space. You can learn a lot about your taste this way. Like music, some art takes time to get to know. The best art reveals itself slowly.... We let you have time. If you love the artwork but it does not sit well in the space you have selected, try it somewhere else in your home or office. If filling the particular space is the priority, then we may be able to assist you with a Digital Hang – check out how it works. Play with the sources of light on the artwork – it may not make an impression if there is not enough natural or artificial light. Shine a beam on it and see if it makes a difference and remember that natural light varies during the day so the effects on the artwork may change too. If the work is un-stretched, you will need some assistance to show it to good effect. This is a great service for interior designers, architects and all those time challenged people who are too busy to visit the gallery. Email us digital images of the wall (including your artist, colour or taste preferences) and we email the photos back with paintings hanging on the wall. See exactly how each painting will look in the room. So easy! New 'In Situ' Feature on our Website!